So said Keegan Rosenberry of Tranquillo Barnetta’s late game-winning free kick against Orlando on Friday night. And, so it was. And if you are Joe Bendik, it was also a bit of déjà vu. Friday night’s win meant, for a day, the Union were top of the Eastern Conference. With Montreal’s win on Saturday, the Union dropped to second place (same points, but Montreal’s got the better goal difference). Whatever. It’s a long season with a lot of soccer to be played. But for now, things feel pretty damn good. 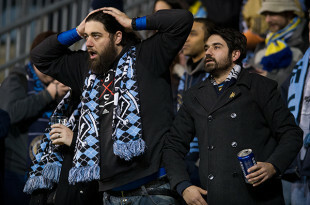 Recaps and reports at PSP (recap, postgame video and transcript, photo essay), Philadelphia Union, Philly.com (recap, report), Delco Times, CSN Philly (recap, report), Philly Voice, Philly Soccer News (recap, report), Brotherly Game (recap, analysis), Prost Amerika, Vavel, MLSsoccer.com (recap, Union, Orlando) , Orlando City (recap, report), Orlando Sentinel (recap, report), The Mane Land (recap, player ratings, takeaways), Orlando Soccer Journal, citysoccertalk.com, TheIronLionFirm, Orlando Sports Daily, SBI, Goal.com, 101 Great Goals, GhanaWeb, GhanaSoccerNet, Omnisport, and the AP. USA Today and Prost Amerika have a photo gallery. At Union Tally, Philly Voice, CSN Philly, MLSsoccer.com, Fox Soccer, SBI, insight into, and praise for, Barnetta’s glorious free kick. Barnetta was named to ESPN’s Team of the Week. It’s easy to forget another moment of brilliance in Friday night’s win, the massive save Andre Blake made after Barnetta’s stunner to preserve the win. Stateside of Soccer says Andre Blake “is becoming Superman.” More on Blake at American Soccer Analysis, stale jokes about the Union and goalkeepers aside. So, watching Tranquillo Barnetta’s final-minute free kick confirm the Union’s win on Friday night, there was a sense that this felt different than other dramatic Union wins, chiefly for being one they could bank as part of a continuum of progress. That progress might not be dramatic, but it’s definite – and it’s progress for an organization who for once don’t look like their own worst enemy. At Delco Times, Matthew De George says the stats don’t lie, the Union are improving. Section 215 says the Union have mojo this season. Section 215 talks to Keegan Rosenberry. Bethlehem Steel suffered a resounding 4-0 defeat to NYRB II on Sunday. The scoring began with a Josh Yaro own goal in the first minute. Two minutes later, Bethlehem was down 2-0. NYRB II scored again in the 42nd minute, closing out the scoring in the 71st minute. The Steelmen finished with 10 men after James Chambers received a second yellow card in stoppage time. Playing for Bethlehem from the Union was John McCarthy, Taylor Washington, Joshua Yaro, Cole Missimo, Leo Fernandes, Eric Ayuk, and Fabian Herbers. Union Academy product Auston Trusty went the full 90 in his USL debut. Former Union man Amobi Okugo went the full 90 for NYRB II after being loaned to the team by MLS. Recaps and reports at Bethlehem Steel, Allentown Morning Call, USL, NYRB II, SNY, Big Apple Soccer, Empire of Soccer, and Once a Metro. Noise Nation has a photo gallery from Bethlehem’s home opener. The Union Academy hosted NJCSA on Sunday and came away with a win and two draws. The U-17/18s started the day of games with a 1-0 victory, Jerren Nixon scoring the winner in the 74th minute. Next, the U-15/16s played to a 3-3 draw. Goals from Kurtis Orrson (12′) and Issa Rayyan (35′) saw the team up 2-0 before strikes from the visitors in 48th and 54th minutes leveled the scoreline. Justin McMaster put the Union ahead again in the 55th minute before NJCSA equalized again in the 74th minute. The U-13/14s finished the day with a scoreless draw. Next Saturday, the U-15/16s and U-17/18s travel to face Empire United. The U-13/14s host Met Oval on Saturday, and Bethesda-Olney on Sunday. Harrisburg City Islanders’ Keystone Derby match on the road with Pittsburgh Riverhounds, scheduled for Saturday, was postponed on Friday “in anticipation of extreme weather conditions.” The game has been rescheduled for Sunday, July 17. Brotherly Game notes the CIty Islanders have signed midfielder Youssef Naciri. Isle of Man Today notes Liam Doyle’s debut for Harrisburg City Islanders as a late sub in the road loss to Charlotte. Lancaster Torch will play in the Women’s Premier Soccer League. Christie Rampone was inducted into the New Jersey Hall of Fame last week. Delaware State News on the trouble Dover’s Delaware Union soccer club is having finding field space. In Eastern Conference play, first place Montreal (9 points, 3-2-0) defeated last place Columbus (2 points, 0-3-2), 2-0. Second place Philadelphia (9 points, 3-2-0) defeated third place Orlando (8 points, 2-1-2), 2-1. Fourth place New England (7 points, 1-1-4) drew 1-1 with eighth place Toronto (5 points, 1-2-2). Fifth place NYCFC (6 points, 1-1-3) played to a 0-0 draw with sixth place Chicago (6 points, 1-1-3). Seventh place DC (6 points, 1-2-3) thumped Vancouver, 4-0. Ninth place NYRB (3 points, 1-4-0) lost 2-0 at home to Kansas City. In the Western Conference, first place Kansas City (12 points, 4-1-0) defeated NYRB 2-0 on the road. Second place Salt Lake (11 points, 3-0-2) defeated sixth place Colorado (7 points, 2-2-1) 1-0 thanks to a major whoopsie from former Union man Zac MacMath. Third place Dallas (11 points, 3-1-2) drew 2-2 with fifth place San Jose (8 points, 2-1-2). Fourth place LAG (8 points, 2-1-2) drew 1-1 with ninth place Portland (5 points, 1-2-2). Seventh place Vancouver (7 points, 2-3-1) lost 4-0 on the road to DC. Eighth place Houston (5 points, 1-2-2) drew 1-1 with last place Seattle (4 points, 1-3-1). Nigel De Jong added another horror tackle to his list in the Galaxy’s draw with Portland on Sunday, this time on Darlington Nagbe. De Jong only got a yellow, Nagbe left the stadium in a wheelchair. Stuart Holden had a few things to say about it. More at MLSsoccer.com. Salt Lake has unveiled some very impressive plans for a new academy complex. MLSsoccer.com on the MLS aspirations of USL side Oklahoma City Energy. D.C. United managing general partner Jason Levien is part of an American investment group seeking to buy a controlling share of Premier League side Swansea City. More at Swansea City, MLSsoccer.com, South Wales Evening Post, ESPN, Bloomberg, and from AFP. The USWNT defeated Colombia 3-0 on Sunday at Talen Energy Stadium. It wasn’t exactly the best of games and the scoreline should’ve been higher but for a few fine saves and better finishing.But the energy inside the stadium was quite nice and it was good for local fans to finally get a chance to see the team in person after their World Cup victory. Recaps and reports at PSP, US Soccer, Philly.com, Delco Times, Burlington County Times, CSN Philly, NJ.com, Philly Sports Live, Washington Post, ESPNW, Soccer America, ASN, Goal.com, Stars and Stripes FC, Vice Sports, and the AP. Abby Wambach supports the USWNT in its wage dispute. But really that shows how amazing it is to have Bethlehem. Let Yaro make those mistakes down there, and we can see if he has what it takes to learn and get better. And yeah, Rosenberry is on a great trajectory. I think he could get called up soon, if for no other reason our fullback depth is atrocious. And JK will probably love his ability to play out of the back. He didn’t look good at all in the preseason games I saw via streaming. Very sloppy with the ball. Not surprised he’s with BFC and not the big club. I agree he didn’t look great on either of the first two, and the whole season to this point. Let him learn though and get better. A line in Adam Cann’s analysis of Rosenberry today in another PSP post undoubtedly is applying to Yaro as well, from memory something to the effect that for the first time he is no longer vastly superior in skill and understanding to those around him. He will adjust over time, I strongly suspect. Don’t get me wrong — I’m not saying that Yaro is a flop. It’s much, much too soon to make a judgment like that. I’m just saying how interesting it is that the highly-touted Yaro clearly still needs some learning and seasoning, while Rosenberry, whose selection at that position was rather controversial, has immediately established himself as an MLS-caliber player. Gotta give Earnie & Jim credit for seeing what they say in Rosenberry. And yes, it is great to have the Steelmen to allow players to mature. Shame on Nigel De Jong. MLS better have a swift and severe penalty. That was ugly. And the fact it wasn’t straight red is ridiculous. Yeah, I had that thought as I was typing, actually. preferably past the time they play here. Otherwise; prepare to watch him “accidentally” break Blake’s leg or something. A good read. Not good if you hope beyond hope like I do about a rival league. Friends….its not good. A league of mediocrity is the goal. This is not the first strong argument about this I have read. Friends…MEDOCRITY IS THE GOAL! This is not a conspiracy theory. 20 years MLS has never once earned a profit yet grows? 100 million in deficits? Have you ever wondered how and why that is? this is your MLS… this is your league of mediocre and it will stay this way the whole time… just as intended from the outset… never once fully tapping into the GLOBAL melting pot cultural- impossibly Magnificent potential — right in our backyards. WAKE UP. Friends they are ruining it. Just five more minutes, Mom? Please? That actually read a lot like a conspiracy theory…The goal is to make money. Just like every other sports league. The only reason any team wants to win the championship is because it makes them more money. Period. Then don’t dig any further if you aren’t concerned. Me and a very large group of other people have grave concerns this is not in the game’s best interest. Soccer is not NFL, MLB, NBA… the business model will not work the same. I agree it’s not the same as the big 4 sports in the US, but soccer in the US is also not the same as it is in Europe. There is not enough support here for it to work that way and there won’t be for a long time. Look at the TV ratings, people just don’t care. Yes we get good in game attendance but the money comes from TV. Even if we paid crazy salaries to great players it would barely move the needle. But it’s growing, it’s growing slow, but it’s growing. The NASL is doing much less to grow soccer than MLS is and to pretend otherwise is just praying to the Pro/Rel gods. And honestly it’s not even that I’m not concerned, it’s just that the idea that literally any league or owner cares about “the games best interest” is pure fantasy, they care about making as much money as they can with as little risk as possible. There never will be enough support here is a fallacy sir but for arguments sake let’s say there will not be enough support, maybe, as you say precisely because of this non organic model.… there is a HUGE untapped market and that market will never be tapped — yet MLS is trying to figure out how to tap those 40 million football fans by sending out questionnaires to those people who watch Liverpool and Man United every week from their 6am saturday morning suffolk tis but will not watch Dallas FC play Montreal over the GB Packers on a sunday. If you think there is not a market here to parallel europe or south america, I am sorry to say you are incorrect. I try to bring discernment to my arguments, and willingly recognize other perspectives, but to say there isn’t a support network yet is to be eating the EXACT popsicle MLS wants you to eat and that, IS the problem. They want you to be afraid of the old NASL model that went belly up – the boogie man in the closet. This is not 1965. The fact, as you say this is about making money in the franchise model is why we will never be good enough… in this particular sport the culture of the CLUB directs the passion… not the bottom line of the franchise. This is why the control of MLS franchises will never tap our potential..its not because the passion isn’t there its because the passion isn’t allowed to express itself up to the top of the pyramid. There is no incentive. Soccer is not the same as the other four major sports of which we already have the global standard in excellence. “Once more to the bridge” with the argument. Trying to shift the group consciousness one person at a time before its too late. Well obviously we will agree to disagree, although I must say the passion you bring to this argument is quite honestly refreshing. I do love how our soccer team and players feel so much different than the other pro sports around. Maybe that will change as it grows but maybe not. I agree that it’s good to question the basic assumption that a monopoly and the control that comes with it is necessary to operate a successful sports league. Why sports were exempted from anti-trust back when Baseball was granted the privilege is not really clear to me. I also question the idea that MLS is running at some great loss. That is probably only true if you fail to look at the investments the league has made as assets. The value off every team in the league is far greater then it was 5 years ago, I’m sure. One of the things that bothers me the most about MLS is its failure to be transparent with its finances. But I don’t for a moment think it makes any sense that mediocrity is the real goal of MLS. Profits are the goal. The only way profit and mediocrity align is if you consider salary controls as a means to keep talent levels low rather than a means to enforce parity. Is a monopoly limiting? Yes. I an see the argument that such limits confine the league to mediocrity, but I don’t think it has to be that way. As for U.S. preferences, I think most sports fans are not only fine with the monopoly structure of U.S. sports but prefer the limits of a monopoly. When I explain to non-soccer fans things like the difference between league competition vs champions league and Open Cup, I get a lot of confused looks. The whole of football competition is alien to U.S. audiences.We’re an oddly socialist bunch when it comes to our sports. I think before I’d push for pro/rel, I’d push for fiscal transparency. I’d also want to push the league to make franchises more independent and to open financial regulations that would force clubs to grow their payrolls or fail to compete. Garber has too many shadows in which he can operate. I’d like to see them removed. Why isn’t it transparent? Maybe because there are two corporations using tax law to veil the real story…. The loses are being spread over the 20 franchises… meanwhile MLS pockets the money on Deandre Yedlin. People need to wake up man… MLS is controlling soccer from the bottom to the top in this country and making it impossible to have organic competition. This is not a conspiracy theory. If this was done the right way, soccer in this country with its inherent melting pot of culture would rival EVERY league around the world. EVERY one. But what controlling LLC would ever open the avenues to growth and have to give up control on how it grew organically? None. MLS screwed the pooch 20 years ago. Why is it that there are more mexicans at a US home game or just as many Colombians at Talen Energy stadium… these market is being intentionally marginalized. I agree 100% that MLS is controlling the sport and that such control is ultimately not a good thing. I don’t see where MLS benefits from excluding markets. I doubt very much they don’t want Mexicans and Columbians from attending games in DC, Philly, Dallas, or wherever. What was Chivas but a blatant attempt to woo at least part of that market? I think if MLS knew how to turn out those communities at their games, they’d do it tomorrow. What would be the benefit of excluding those markets on purpose? It doesn’t make sense. Because those markets and cultures cannot band together and build their own business models or their own brand and grow it from the grassroots. A club like Rayo Vallacano cannot exist,,, Eibar,,, Leicester,,,, 1836 in Germany. Never… we just use words like ‘club’ and Real and United and FC and Sporting… they are all totally hollow and grown in a petrie dish. It’s okay I have a different worldview about this game than 95% of the population who visits this page just happy to have been awarded an MLS franchise… I want more and better. I want the beautiful game. I want world class players. Cannot and will not happen… we have been targeted to the middle…after 20 years our players are totally average… and in 20 more years it will be the same. Yeah, owning an MLS franchise is an investment. Maybe they haven’t made profits each year, but that’s because the infrastructure is so expensive. Every team could be sold today and the owner would make an insane profit. It’s honestly insulting that they continue to tote that line. When the loses are balanced over the franchises it is absolutely plausible…this is why there are two LLC. 100 million dollars spread over the 20 franchises is 5 million. Not so rough then. No matter. I’ve had an epiphany… on my own and with help from others….. This is the last I write about this in this forum. Soccer in this country has been set up to be a niche sport… it will always be a niche sport and if you have a kid playing at a high level…to stay in an MLS franchise , when being a professional player is the goal, that child will never be able to reach his/her full potential. This is the problem. This is the alpha and the omega. Thank you for humoring me– all. Closing up shop. Sports franchises are not comparable to the atomistic competition of Adam Smith. The LA Clippers cost $2 billion [sic] dollars; that’s not forty acres and a mule of the Freedman’s Bureau, or the 160 acres of the Homestead Act. the competitive marketplaces for sports franchises are not the marketplace of Adam Smith. Pete, we are not a socialist bunch in preferring monopoly in our sports, we are quinessential capitalists! The capitalists of the 1880s all strove to create monopolies, Sugar Trust, Beef Trust, Oil Trust, Money Trust, Steel Trust, You-Name-It Trust, because the thinking of the time was that Monopoly maximized profit by suppressing cost and maximizing price for each individual transaction. The transition from a market place of small farmers engaged in agriculture when no one productive entity had enough market share to affect overall production and consumption, to the monopolies that dominated new industries was quite scary to individuals and created a political opportunity for the Progressive movement, hence the regulations against monopoly. Capitalism changed its method only when Henry Ford was forced by the brutality of the assembly line to pay high wages, $5 per day. And then his sales people figured out that their work force could now afford to buy their product if they paid for it over time. All of a sudden the market for cars expanded exponentially, and the High Wage, High Consumption economy was born. Great point, OSC. I stand corrected. What a load of garbage. Please, the conspiracy theory about how MLS owners are trying to keep the sport in check so as not to compete with the top four is just so absurd. The Union, Columbus, Portland & KC have owners who are not affiliated with any of the big four. Why would they ever buy a franchise with the end game to lose money and help the other leagues make money. Sixty seven teams in the world generate 200 million a year in revenue. Twenty two of those teams are soccer teams that play the world’s game and the other forty five are teams from America that do it in the American system. Of course MLS believes in that system in this market, it works. Revenue is what will bring development forward. It’s the reason teams in MLS are building academies. If like the article suggest it was just to keep the sport in check, there would be no reason to do this and just keep using the college draft. Which people say is useless but that number one pick in goal for the Union looks far from useless. The league is constantly evolving and it has to do it at its own pace. So, please stop with these silly conspiracy theories. Interesting that Amobi is both playing with the Red Bulls II, and he is playing center back. I wonder if he’ll get another chance back anytime soon. I’m not sure what the rules are and if his salary cans be lowered. I think that’s the only way. see a comment i made under the Barnetta as player of the week post. MacMath is really not helping himself ahead of Howard’s return to MLS. He still has a better goals against average than Blake. Where is his team in the table? Oh and another Pulisic article to add. Quotes from Tuchel make it sound as though he views him as a full time first team player now. If an entertainment monopoly reflects its circumstance, remember that the Big 4 grew up in an America of enormous prosperity and expanding equality (1950s – 1970s), while MLS is maturing in the America that elevates the 1%. The real revenue fight is eyeballs. And what Don the Don reveals to a pleb like me is gold dust to his competition. If we judge by results, MLS is growing and parity is helping our team, plagued by the misbegotten reign of Nick the Incompetent. Check. Historical detail, major league baseball was fully grown up before WW2. In addition to the unprecedented concentration of wealth currently extant, we rebuilt the rest of the world’s ability to compete with us, except for the Marxist-Leninist-Stalinist-Maoists, and the rest of the world are now doing so. That there is a retrenchment in the size of the middle in this country makes a great deal of sense if you think about the globe’s economic history as a whole. I’m just NOT interested in spending my hard-earned money on Bethlehem Steel FC tickets at this point in time. Last week we benched the veteran midfielder Chambers, who had been BSFC’s Man of the Match against FC Montreal in my perhaps not so humble opinion, so that “highly touted” Derrick Jones can play out of position in defensive midfield. This week, we benched the veteran defender Daly, who is supposed to be one of the top five centerbacks in the entire USL so that we may rush the 17-year-old Auston (Not So?) Trusty into action. Sorry, this just is NOT working out for me, the consumer, trying to spend his limited amount of disposable income on local entertainment. However, I will wish BSFC the best of luck with its “player development” policies all the same. PS – Every time Trusty appeared for BSFC during pre-season, it was as a left back. 1. The Steel are showing they are about evaluating players first, and winning games second. Auston Trusty started instead of Micky Daly. The player being evaluated was Josh Yaro, whether he was ready to be the leading center back rather than the complementary one, [Carlos Valdes’s lead to Amobi Okugo’s complement, for example] and Yaro promptly crossed wires with John McCarthy 13 seconds into the game to score an own goal for New York. McCarthy takes some responsibility for failing to communicate with Yaro, but it seemed a relapse into Yaro’s assuming that the play to make was obvious, when the actions of his teammate made it clear in hindsight that his assumption erred. Perhaps Trusty and Yaro will grow from the experience; it was hard to notice the growth during the game itself. 2. NYRB2’s high pressure, high in the sense of position on the field as well as intensity of individual confrontation, and pace of play essentially destroyed the Steel’s defensive cohesion. Recognition speed by the Steel was a step slow from the opening tap leading to the second New York goal in the 6th minute with the NY shooter being left wide open inside the box with the ball at his foot facing the goal. He was only beginning to be closed down when he released his shot. Of course he scored. 3. As the game went on, the Steel’s defensive compactness simply disappeared. For a period of time after the opening trauma, there was some coherence on offensive and some pressure, but as with the Cincinnati game, when possession was lost, the space in front of the center backs was open for exploitation. Some are calling it area 14. Derrick Jones played as a box to box # 8, James Chambers was more the ostensible #6, but the midfield as a whole has not figured out how to defend effectively when playing from behind. In none of the preseason games known to me did they have to do so, so next year scheduling some more challenging opponents might be helpful. Eviscerating our Lady of the Blind is good for morale, but not much else. You discover weaknesses only when under severe sustained pressure. 4. We are learning exactly how weak Montreal FC, aka Our Lady of the Blind, is. 5. NYRB2 knew about Eric Ayuk and Ryan Richter and reduced their effectiveness considerably, especially Ayuk. 6. That Cole Missimo started and Walter Restrepo did not make the trip shows the degree to which Steel serves as game minutes for the younger portions of the Union’s bench, a good strategy for the longer term health of the overall organization. We will unlikely see major league baseball style rehabilitation assignments for older first team stars, like Maurice Edu. 7. By the end of the game Steel looked like eleven individuals each trying very hard to defend in individual isolation all over the pitch. Red Bull 2 imposed its offensive spacing on the Steel defense completely. It’s early days, Football Watcher/Observer! they want to sell tickets, too, and if the player development moves hurt sales, watch how fast they retrench. The starting of Trusty so jars against everything else they have done, especially with the defense, that I am wondering if another organization was trying to sign him away, or some other such circumstance. We will probably never be told. Which becomes counterproductive…no? Isn’t an 18 year old supposed to be getting lots and lots of playing time so by 20 he is a first team regular, signed with a different club or abroad? Isn’t USL first and foremost a Farm system for the mothership? Isn’t that the idea of the baseball model turned US Soccer model. I would hope that’s how it will function. Of course you need some lower league vets to help, but it seems like they have a good balance of that. I say keep throwing out the young guys! How many young prospects of any worth can really be on a team that got thoroughly smoked 4-0 by another team which also just so happened to be stuffed full of young prospects? It nicely expresses in words what I glimpsed behind the poker face of our new Technical Director in minute 90: as the XI and the SoBs swirling all around him rollicked and reveled at The Calm’s deft ping, Mr. Stewart paced the River Endline without emotion. Somebody’s gotta keep a steady hand on the rickety and opaque and oh-so-fickle enterprise we love, steering us toward the horizon, Every Damn Day, while us yobs jump about, and forecast falling skies, and otherwise run the gamut of emotions. So I submit that we now have in our midst The Calm of a higher power. I submit to you The Most Earnest Steward.